Arbuckle has been building high-end residential cabinets in Portland since 1962. Over the years we have come to understand that people who truly love their homes have worked hard to create an environment that is built on more than just exceptional craftsmanship. It is a space where functionality, beautiful, and enjoyable intersect. A home where their family can feel free and their guests can feel inspired. When you work with an Arbuckle designer, we’ll take the time to help you discover the perfect kitchen for the home experience you desire most; taking what was once simply functional and making it masterful. 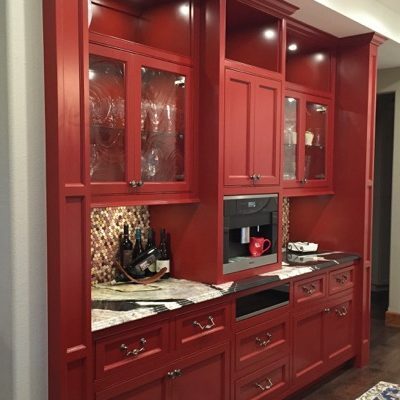 Established in 1962 by Jess Arbuckle, our company started small with the simple goal of bringing the finest crafted cabinets to Portland families who loved their homes. Jess’ reputation for exceeding expectations in craftsmanship and aesthetic appeal quickly spread and Arbuckle Cabinet Shop was soon established as one of Portland’s leading high-end cabinet production facilities. Over the years Arbuckle’s owners have continued the traditions of its early founder. Our reputation has grown and our legacy has become firmly established. Under the leadership of our current owner Nate Dunithan, Arbuckle’s vision is expanding. We will always hold the highest standards of craftsmanship, but we are also intentionally helping home owners create a kitchen space that is perfect for their lifestyle. It is our belief that a home that you can truly love isn’t simply functional, it’s masterful. © 2017 Arbuckle Cabinets. All rights reserved.